USDJPY is under the influence of the Brexit as well and it is time for the Bank of Japan to take some actions. While Japan is not releasing any economic data, the US is releasing the Flash Services PMI and Goods Trade Balance. After the previous low at 99.0 the pair tried to rise but the pull backs took it down again. The support rests at 100.890 with resistance at 102.690 which both lines are below the monthly pivot point at 109.230. The EMA of 10 is moving below the EMA of 75 with bearish bias. 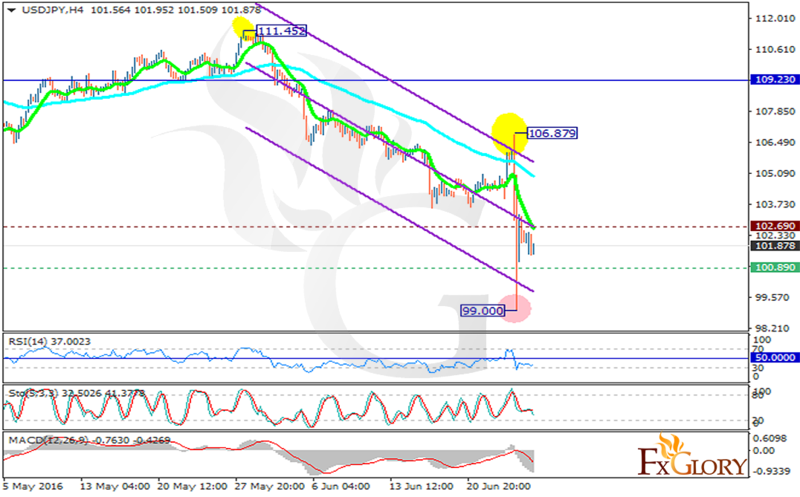 The indicators are showing further decline, the RSI is in oversold area, the MACD indicator is in negative territory and the Stochastic is showing downward momentum. The potential target for sellers is 100.00 at the moment.